The Defense Secretary said the military's short-term objective is to get wire and other barriers in place as requested by Customs and Border Protection. 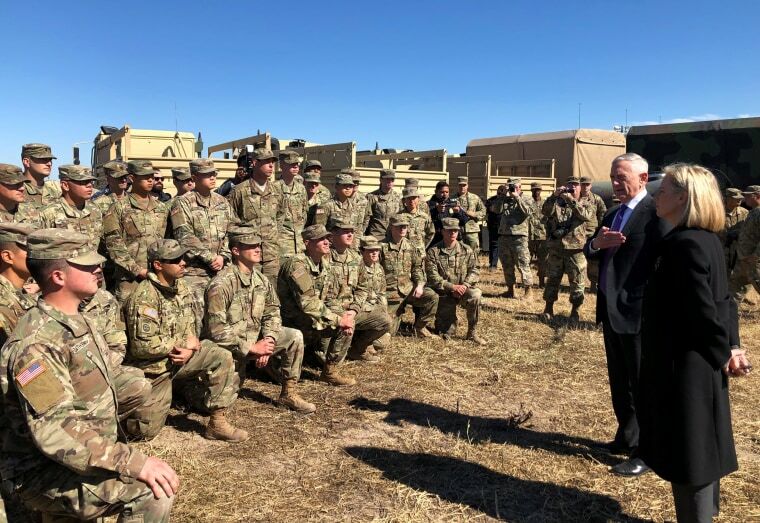 WASHINGTON — Defense Secretary Jim Mattis on Wednesday defended the use of active duty troops on the U.S.-Mexican border, saying that in some ways it provides good training for war. He argued that it's analogous to a 1916 deployment to counter the Mexican revolutionary Gen. Francisco "Pancho" Villa.